greens! – sweets! – treats! 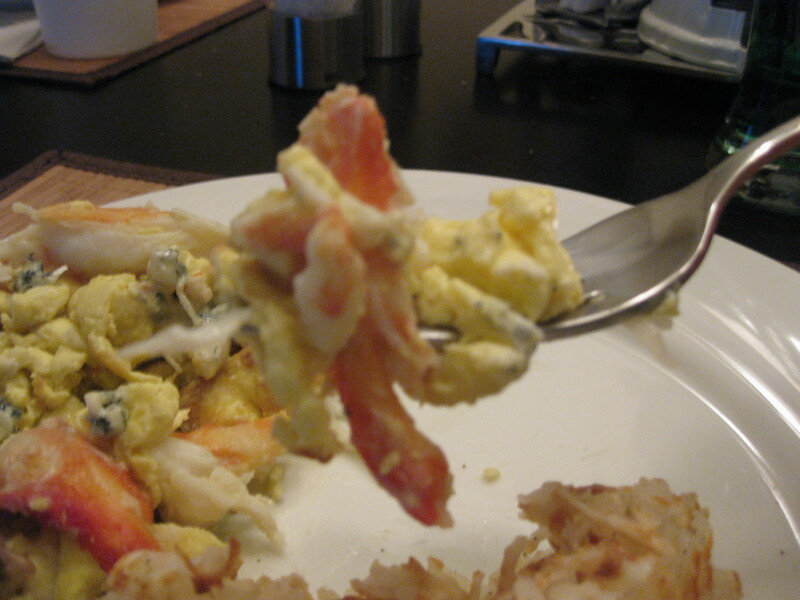 Eggs + Egg Beaters scrambled with fresh KING CRAB, mushrooms, and bleu cheese. YUMMM! Today is taste test day at work and I made a delicious treat from Estela’s blog, Weekly Bite. I’ve tried several of Estela’s recipes, and she’s never led me astray! And I must admit something: Fiber One cereal is not something I enjoy. You know, the ORIGINAL Fiber One guinea pig-looking twigs. Bleck! 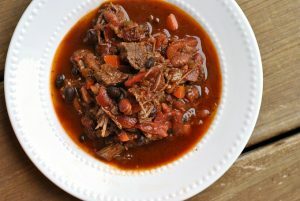 BUT, this recipe is seriously YUM! 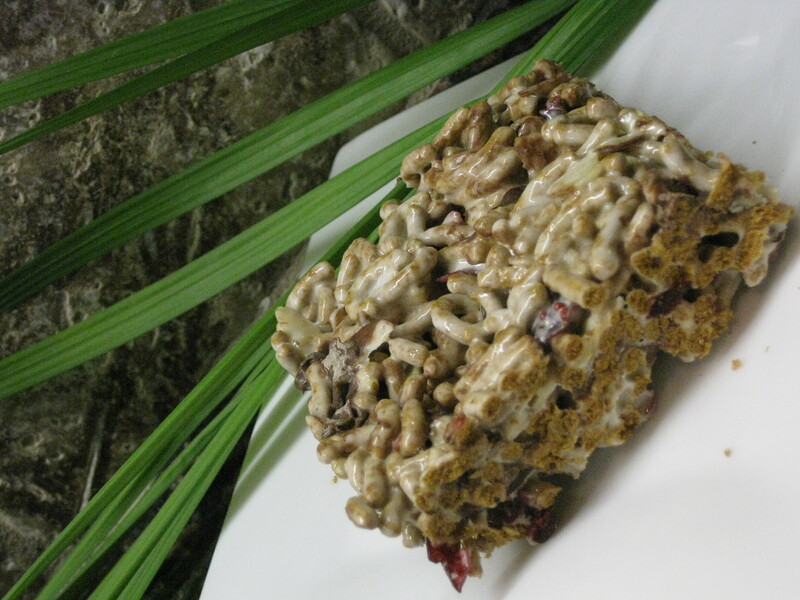 And can you beat a dessert with 13 grams of fiber AND super easy to make!? I didn’t think so! Spray 13×9 pan with non-stick cooking spray. Melt butter in a large saucepan at medium low heat. Add marshmallows to melted butter. Keep heat at medium low. Continuously stir marshmallows until completely melted. Be careful not to burn marshmallows. Take marshmallows off heat. Add in cereal, dried fruit, and almonds. Gently fold in chocolate. Be careful not to over mix. Spread in pan, allow to cool completely, then cut into 12 squares. Celiac disease…is on the rise. There are 4x more American’s with Celiac disease today than there were 50 years ago, according to WebMD. Research by Mayo Clinic researchers has linked undiagnosed and untreated Celiac disease with earlier death. The University of Chicago Celiac Disease Center Director Stefano Guandalini, MD suggests that only 5% of people with Celiac disease are diagnosed and that 1 in 100 American’s have the disease. Different theories as to why Celiac disease is on the rise include less exposure to germs which causes increased susceptibility and the new methods in which wheat is grown and processed. So, what is Celiac disease? A gluten allergy which causes an inflammatory reaction which can cause damage to the intestine and result in malabsorbed nutrients. Gluten is a protein found in found in wheat, rye, barley, oats, and many other prepared and processed foods. Treatment for the disease includes the elimination of gluten in the diet. Symptoms of Celiac disease include: diarrhea, abdominal discomfort, weight loss, anemia, unexplained infertility, premature osteoporosis, loss of teeth, and other health issues. Symptoms subside with the elimination of gluten. This or That: Rice Krispie treat OR cookie? Question: Do you or someone you know have a gluten sensitivity or Celiac disease? I feel like there are a LOT of bloggers out there who steer clear of gluten! Happy Thursday (my Friday – wooo!)!!! « Luck of the Irish! I usually prefer a cookie, but a rice krispy treat sounds really good right now! Rice krispy! I want to try them with the high fiber cereal, it just sounds sooo good. cookie. i don’t really like marshmallows. Depending on the type of cookie, most the time the rice crispy treat would win out. I do know someone with Celiacs and when I have parties and what not that she is going to be at I always try to make sure there are a few things there she can eat. I avoid gluten. It was a trail and error thing with my doctor, since I had been having major stomach problems but the blood test for Celiac disease is very expensive. We tried a number of foods to avoid, but once I stopped eating gluten I felt a million times better! I know a lot of people who have Celiac or are gluten intolerant (which is what I believe I am, similar to lactose intolerance). It makes me sad that so many people are undiagnosed, or won’t try to go gluten free to see if they feel better. Once you get used to not grabbing a slice of pizza when you are out, its not that big of a deal, and feeling better is what matters most! * overall more energy and I just feel better! It depends who made the Rice Krispie treat. If it’s a stale Starbucks one, no. If it’s homemade, possibly. If it’s the ones my high school cafeteria used to make, heck yes. I don’t know why or how, but they made the best Rice Krispie treats I’ve ever tasted. I tried to replicate them so many times but couldn’t. They were so gooey and soft and practically fell apart. I guess my only chances of having one again is going back to high school. No thanks. Crab, mushrooms and bleu cheese -that is my kind of meal. Yum. http://www.celiac.org/ who will send a free information package out with a pocket size book to make shopping for items easier if you have someone in your family suffering from this sometimes difficult to manage disease. I’m a cookie fan, but that treat looks pretty good to me! I AM happy to see that there are so many gluten free options now! I’ve tried some of my nephew’s GF foods and some of them are actually really good. I am not a huge rice crispy fan at all. In fact I really only am a big BROWNIE, cheesecake, pumpkin pie, and ice cream for dessert type of girl. I like how you healthified your rice krispies though! 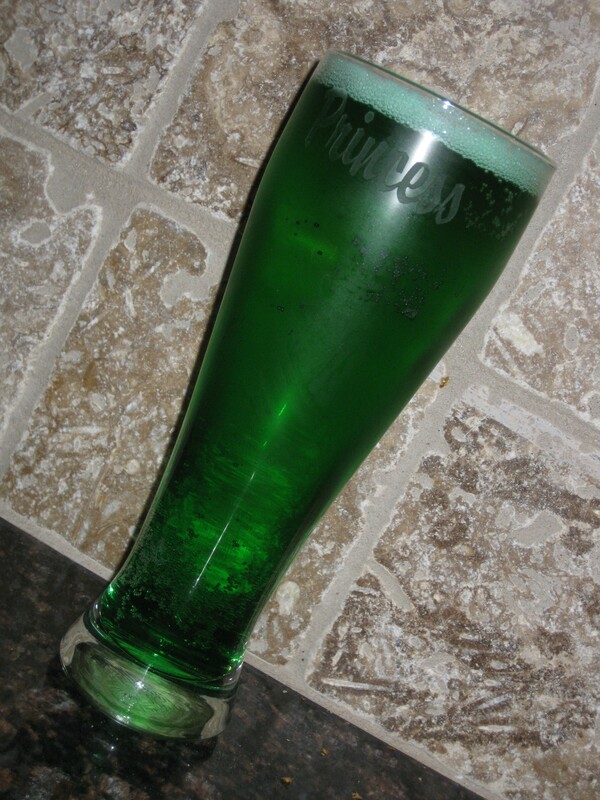 LOVE the green beeer and all that Irish food you enjoyed yesterday! AWESOME job of celebrating miss! One of my best friends has celiac disease, and since we share a love of cooking I’ve learned so much about gluten-free cooking. It’s such valuable knowledge I’m happy to have! I haven’t been diagnosed with Celiac, but I was diagnosed with Gluten Intolerance after doing a test with Enterolab (enterolab.com). Since I cut out gluten, my IBS symptoms have improved. Occasionally, I’ll treat myself to something with gluten in it, but for the most part, I have ut it out of my diet and feel better. Rice Krispy Treat all the way. I’m going to make that recipe. Yum. I’ve never had rice krispy before so I’d say cookies (I don’t like marshmallows anyway ;)). I lovvvvvve Fiber One! It’s that nasty All Bran I can’t stand. My hubbie makes gluten-free bread in the breadmaker but he drinks beer so he’s kinda inconsistent. He hasn’t been diagnosed with anything, but he just likes it. He actually has more of a fiber intolerance than anything and neither of us can eat pork products without sounding like there’s a creaking ship in our guts. Those “rice krispie” treats look great – I am also not the greatest fan of Fiber one though. I am not gluten-free. That is one of the few things I can eat! I love using bland cereals in recipes for snacks/desserts…the blandness actually works well to soak up all the other flavors and acts as a great healthy bulking agent. Don’t know anyone around here who have a gluten sensitivity or Celiac disease. Come across a few on the blogosphere though. I had already decided to take the day off the run. But I did arrange to give up money tonight and go play badminton instead. Little bit better than running and will still get a workout in today! what a great green day you had! you know i wonder if my hubby has it? he has had some major discomfort lately-i am worried! Oh nice! I have this box of Kashi cereal that I keep forgetting to eat. I may need to make this marshmallow krispy recipe. I love the fact that there is a ton of fiber in there. While Rice Krispies are tasty and all, they don’t have any nutritional value to them and they make the Krispy treat too airy. With a tougher, more sturdy cereal like Fiber One (or Kashi), I think these treats will have more lasting power. Thanks for the idea! I hope you enjoyed St. Patty’s Day! I had several friends where we used to live who had Celiac disease. It was interesting to see how long it took them to figure out what was going on with their bodies and how much better they felt afterwards. Cookie all the way! I’m not a big fan of marshmallows. I don’t know anyone personally with an intolerance for gluten but after making soda bread last night with all purpose gluten free flour i’m glad I can tolerate it… Wasn’t a big fan of it’s taste. Any good gluten free bread recipe I should try to sway my thoughts the other way? My boyfriends mom and one of his brothers have celiac. When I was younger my brother and I had problems with gluten, but theyve gone away over the years. cookie for sure! i love weekly bite, estela is great! Love all the festive foods!! 🙂 I think it must only be food bloggers that pay attention to the colors of their foods ;-). 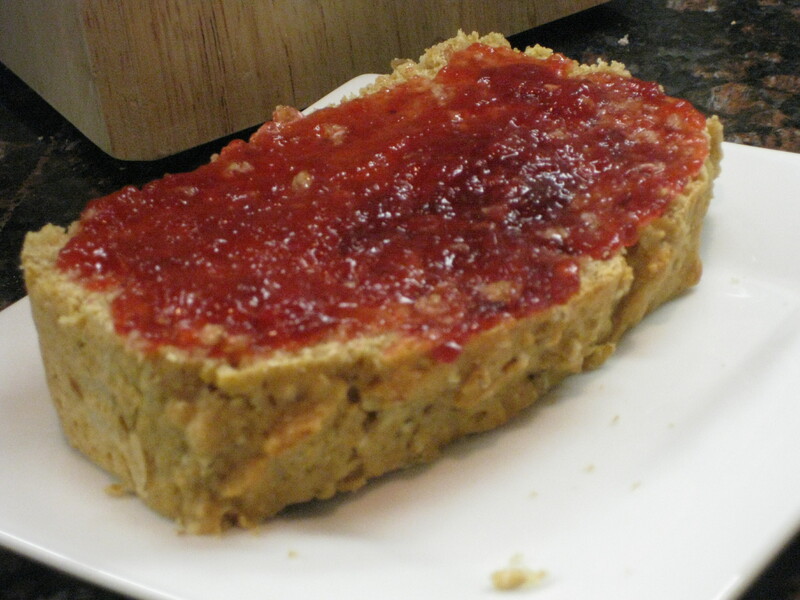 I actually love using the fiber one “twigs” ground up for pie crusts–they work super! I’m actually shocked at the number of people I know with Celiac Dx (and MS – both incidences seem to be on the rise). I’m not sure if the prevalence is rising, or are more people are getting diagnosed with better Dx techniques? … a little scary to think about, actually. You know about Andrew having CD. I’m really becoming the nagging wife with him b/c he “cheats” way too much lately. A donut here and fried chicken there… From what I know about it, the only way is total elimination. Even if he gets lucky and doesn’t feel sick, he’s still doing damage. I just mentioned to him that infertility is a possibility and that seemed to concern him, so maybe that’ll be motivation for him to be stricter. Those look tasty! I can’t really have rice krispies in the house because I eat them all! lol maybe the fiber in these would fill me up 🙂 I don’t know too many with celiac personally, but it can be very difficult to find the hidden gluten in so many products. Yum, crispy treats! 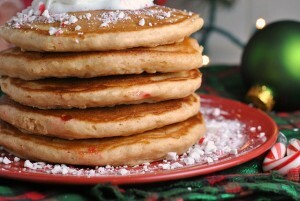 My sister makes them with Kashi cereal and they are also delish! I’m loving all the green (my favorite color!) and those fiber-ific treats. Great twist on an old favorite. I thank god every day that I don’t have Celiac’s…I don’t think I could handle having to switch to gluten-free everything. Cookie… all the way… but that’s because I’m weird and don’t like marshmallows – or sticky foods really. I’ve been reducing gluten in my diet for the past several months. I’ve had migraines for several years and it was one of the diet changes my Dr. suggested after a number of other things didn’t work. We didn’t see a change in eliminating caffeine or dairy, and I’ll be the first to admit that gluten was the last thing I wanted to try eliminating. But it worked. I eat a gluten light diet and my migraines have significantly decreased – to the point that I’m now reducing the daily meds that I take. I fall into the category of gluten-sensitive. My body can handle some amount, just not overload. So I don’t partake in the bread I make (and it’s really good bread). On the other hand I don’t have to be vigilant about making sure that food products don’t have any gluten at all in them. 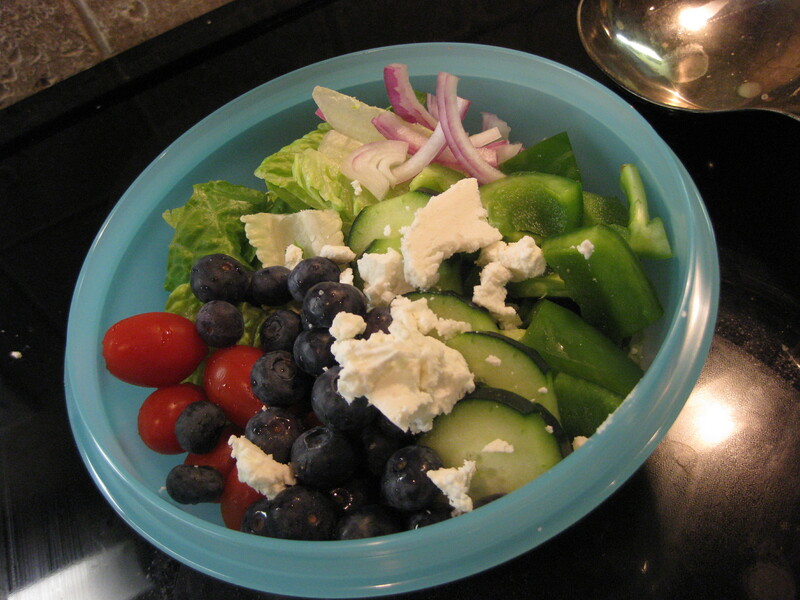 The biggest change I noticed was I eat a healthier diet – tons more veggies for bulk in place of bread and pastas. If I’m having a strong craving I might have a bit of really good bread, or a cookie. But I make sure it’s worth it to me. If I’m going to indulge first I check that my body is in a place where it can handle it (no other triggers, no stress, etc. ), and then I make sure it’s worth it. I’m getting much better about tasting something and then realizing it’s not worth the gluten so not eating it.